Morgan James Publishing, 9781683502432, 118pp. Do you have a thriving business, but have a sneaking suspicion you may be missing out on potential opportunities? The way people present themselves is a secret sales weapon. It gives them an edge within their industry. And all they have to do to activate that edge is change their clothes. 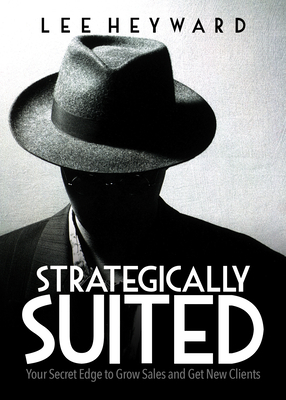 Strategically Suited helps readers discover how to grow their business. They're also going to look and feel better. More importantly, they'll be able to apply what they've learned to make more money, so that they can make a bigger impact on the world, spend more time with the people they love, and be able to do what they've been put on this earth to do. You may be successful and have listened when people talked about dressing for success, but you may wonder how you can take your business to the next level, increase sales, get new clients, and land any opportunity that comes your way - Strategically Suited has those answers. A longtime image and sales strategist, Lee Heyward knows that when you up-level your look, you'll feel great, have more fun, and close more business. Open up and get started. Style strategist Lee Heyward helps clients create an edge to grow their sales and get more clients. Lee believes that when you up-level your image, you confidently close every sale, stand proudly on stage, and achieve the results you desire. Her real-world approach demonstrates that up-leveling your image isn't about creating a perfect package; it's about tapping into what makes you the best version of yourself for both you and your clients. At a young age, Lee discovered the importance image plays in your success. When her best friend entered a new school in fourth grade, she put together all the outfits she should wear in order to nail a "cool kid" first impression. As a sales representative for an equestrian footwear and apparel company, Lee quickly learned that the way you package what you sell is key in order to get the result you're after. In 2007, she launched her company to help entrepreneurs discover how easy it can be to increase their bottom line simply by changing their clothes. She is the author of her first book, Simply Effortless Style: A Real Woman's Guide to Making Style Easy and Fun and lives in Charleston, SC, with her husband, two children, dog, and cat.